Highly acclaimed ABC drama American Crime is hosting an open casting call in Austin for season two extras. Producers are looking for athletes to portray high school basketball players on the second season of the series created by John Ridley. The hard-hitting show, nominated for 10 Primetime Emmy Awards, centers around a racially charged murder and its aftermath. Like HBO hit True Detective, each season of American Crime features a vastly different storyline. According to Variety, season two focuses on an incident involving basketball players at a small-town private school. 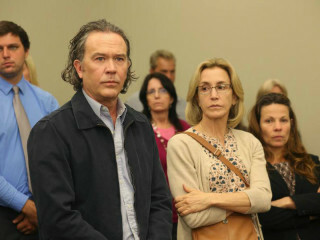 American Crime stars Timothy Hutton and Felicity Huffman will return to the show and play entirely new roles in the second season. Austin athletes must "try out" for the basketball team during the open casting call. Chosen extras will participate in basketball practice in lieu of rehearsal, as several basketball games will be filmed for the show. Extras will also appear in scenes filmed around the school, locker room and more. If you're a former basketball star looking for a chance to relive the glory days, open tryouts take place Tuesday, July 21 at the Austin Sports Center from 3-5 pm. Those auditioning must be high school graduates. They must also have completed their high school and/or college athletic careers.